German authorities have found emissions-cheating devices on 24,000 Audi vehicles in Europe, including some 14,000 cars in Germany, transport minister Alexander Dobrindt said Thursday. The software was discovered on the carmaker's diesel A7 and A8 sedans with V6 and V8 motors, built between 2009 and 2013, Dobrindt told Germany's DPA news agency. "It's clear that these vehicles cannot remain in their current state and must be recalled," he said. DPA said it was the first time that rigged Audis had been found in Germany. It was the latest revelation in the "dieselgate" scandal that has rocked Volkswagen, which owns Audi as well as Porsche, Seat and Skoda. Investigators have found that VW used so-called defeat devices in millions of vehicles worldwide, making them appear to comply with emission standards when in actual emissions were much higher. The carmaker has so far set aside more than 22 billion euros ($24.7 billion) to cover fines and compensation related to the scandal, but experts estimate the final bill could be much higher. 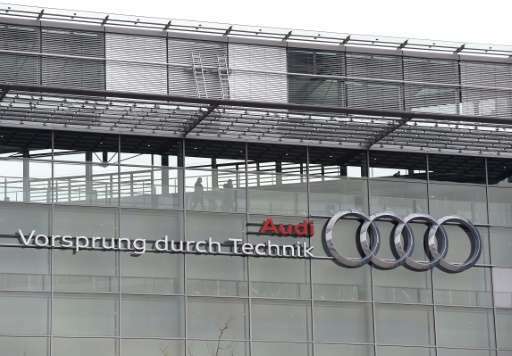 In March, German prosecutors searched several Audi offices suspicion of "fraud and illegal advertising", related to the cheating scandal. But that investigation was related to some 80,000 vehicles fitted with Audi 3.0-litre V6 diesel engines sold in the United States between 2009 and 2015, prosecutors said. So much for the universal adherence to the Paris Climate Accord. Europe so vigorously supports. Germany can't even get its industry to comply but the US is a big bad boy for going it alone. Europe should get its house in order before castigating the US.